By default, there is only a single desktop available in every operating system including Windows 10. However, we can always create more virtual desktops right according to our own choice. 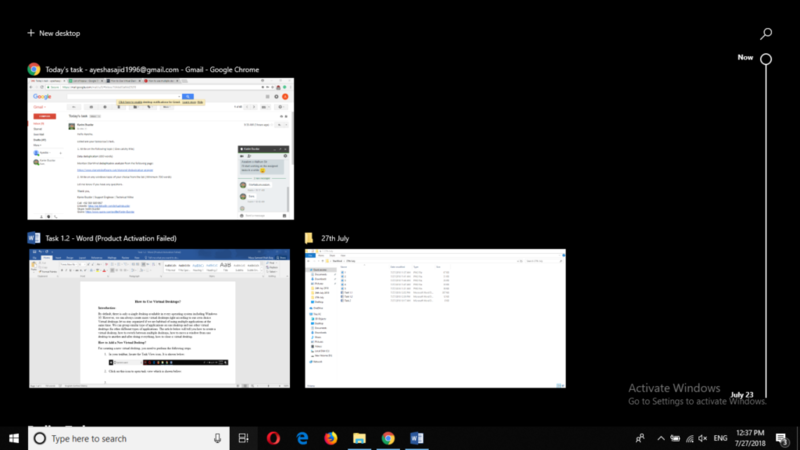 Virtual desktops let us stay organized if we are habitual of using multiple applications at the same time. We can group similar type of applications on one desktop and use other virtual desktops for other different types of applications. The article below will tell you how to create a virtual desktop, how to switch between multiple desktops, how to move a window from one desktop to another and after doing everything, how to close a virtual desktop. You can also press Win+ Ctrl+ D to create a new virtual desktop without following any of the above-mentioned steps. Moreover, you can also perform the same task by pressing Win+ Ctrl+ left/ right arrow key. 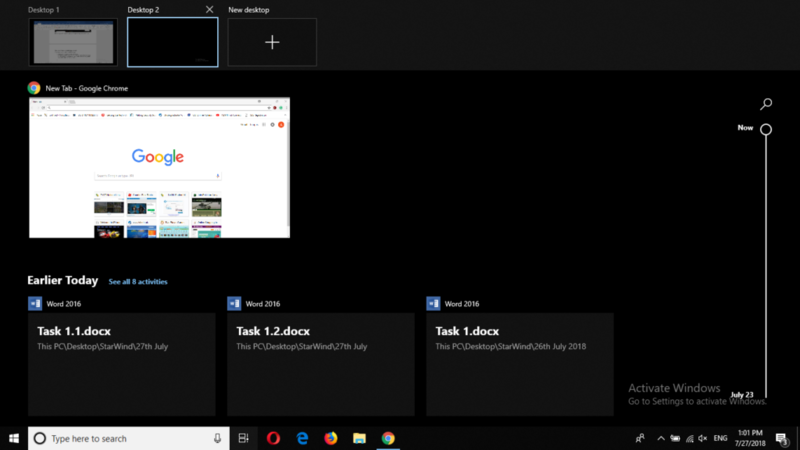 Open task view by clicking on its icon on the taskbar. In this way, your Google Chrome window will be moved to Desktop 1. 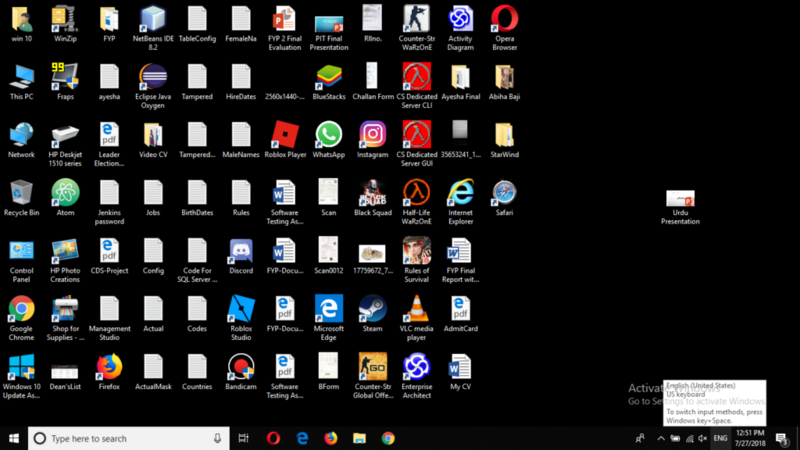 You can also achieve the similar functionality by dragging the Google Chrome window from the list and dropping it in Desktop 1. 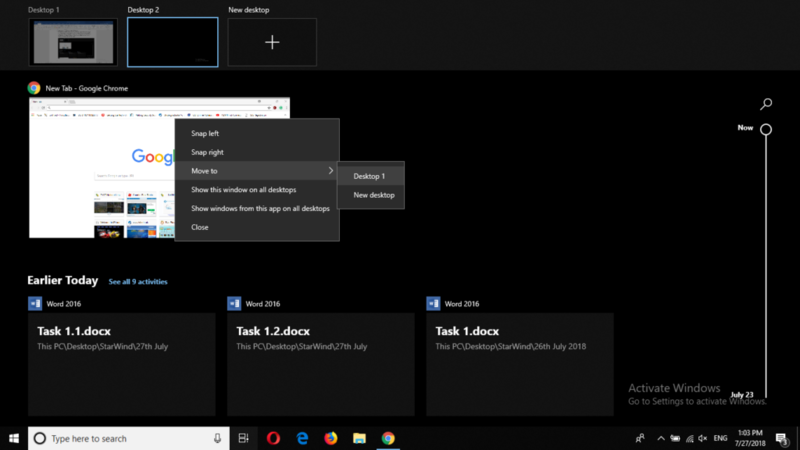 Now, the Desktop 2 will no longer be there in the list of desktops. You can do the same thing by opening Desktop 2 and pressing Win+ Ctrl+ F4. In this way, you can very easily create and work with virtual desktops. They let you organize your tasks according to your choice and also prevent your workplace from looking messy. After taking full advantage of the virtual desktops, you can simply close them without getting yourself into any trouble.